A minute’s silence will also be held in memory of those who lost their lives in the London blaze. This year's Notting Hill Carnival takes place in London this coming weekend, August 27-28. The celebrations will run as usual through the west end of the city, though plans are in place for revelers to pay respect to those who died in the nearby Grenfell Tower in June. A "quiet zone" will be introduced in the area surrounding the tower, which remains in its location following a fire that killed at least 80 people earlier this year. Carnival floats and bands will pause their music as they pass the locations while members of the public are being asked to pass quietly on their journey. A minute's silence will be held on both the Sunday and Monday at 3pm. People are encouraged to wear green in support of those who survived the blaze and the families of those who didn't. 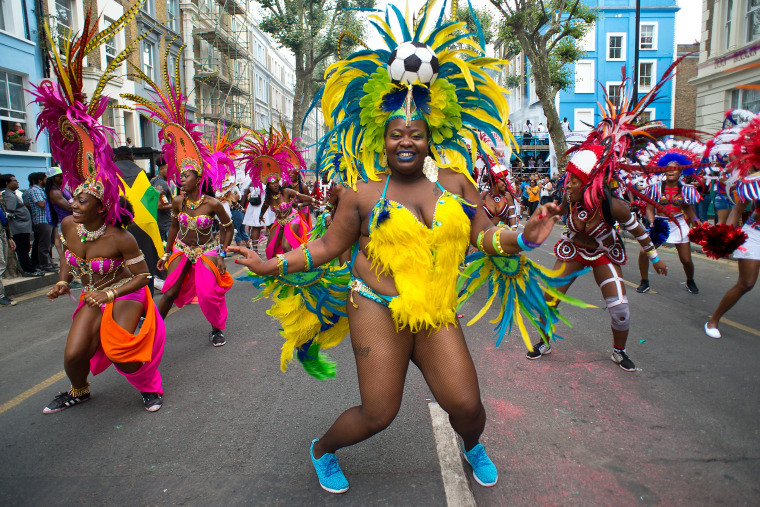 A spokesperson for Tower survivors group Grenfell United, who helped put the plans in place, told London's Evening Standard: “Notting Hill Carnival is a defining part of our local culture and heritage. We hope people will follow these requests from us and our friends and family in the wider community.